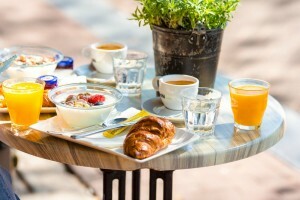 And you find yourself in need of a good brunch spot, with a good menu, accessible location, that is a good space to converse and connect with friends, then these spots might be for you. Not only are they located close to public transportation, their food is delicious and affordable. Located at 565 West Jackson Boulevard, across the street from Union Station, Lou Mitchell’s has been a popular breakfast spot since it opened in 1923. It remains a heavy traffic spot for commuters who travel through in the early morning hours and for travelers arriving into and departing from Union Station. Though there is a varied menu available, it is the huge served-in-the-skillet omelets and pancakes that are popular with most travelers. If you are in the mood for “Urban Comfort Food,” then you need to head over to Eggy’s Diner. Located in the South Loop, Eggy’s offers everything from traditional breakfast options like steel cut oatmeal and chicken and waffles to a variety of crepes, specialty omelets and a selection of skillets. Eggy’s location at 333 East Benton Place makes it easy to get to from public transportation and the prices make it affordable. A full menu can be viewed online at eggysdiner.com. Though there are many more spots worthy of exploration in downtown Chicago, these locations offer the best location to train lines, bang for the buck and menus that are well worth the visit.